A huge swimming pool for the most comfortable and luxurious vacation. Nice interior details, cozy sofa and big TV. Enjoy your stay to the fullest! Cozy bedroom with a comfortable bed with fresh linen, pretty textiles and en-suite bathroom for your maximum comfort! Gorgeous modern living room wih a dining zone. There's enough room for everyone! The dining area is ideal for a company. Here you will find all the necessary kitchen utensils and tools. Vibrant room colors combined with soft textiles make the space very attractive. Have a nice dream here! Fully equipped kitchen at your disposal! You will find a huge modern fridge, coffee maker, microwave, blender, stove and all necessary utensils for your comfortable stay! Look at this comfortable large bed. The pillows are so soft that you will fall asleep immediately! Look at this spacious living zone. What is it about opening a bottle of wine and sharing it with friends? A spacious kitchen is a good place for cooking the most delicious food. A dream of a chef: a spacious kitchen with new utensils. How about cooking something special in this spacious and fully equipped kitchen? We pay much attention to cleaning service, because your comfort is our utmost priority. In the en-suite bathroom you will find a set of soft high-quality towels, bathroom essentials and a hair-dryer. Have much fun in the pool! Modern lobby, spacious and comfortable. Do you have any question? We will be glad to help you! Swimming pool, equipped with chaise-lounges right next to the apartment! Romantic place to visit and enjoy on your honeymoon. Book your romantic getaway in Punta Cana! Quiet place near the pool equipped with sunbeds. Enjoy 2 jacuzzis! 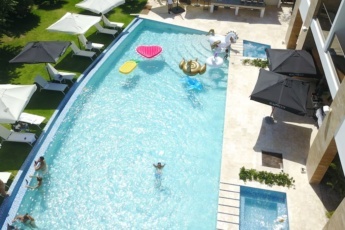 The swimming pool is the most attractive place for the lovers of relaxation and fun. Spacious hall with reception deck. Do you have any question? We will pleasantly help you! Our boutique hotel in Punta Cana has private parking slots. Do you need to rent a car? We will help you! Beautiful modern details of the boutique hotel in Punta Cana attract much attention. You will easily find it! Amazing lighting of the pool for late night swims! We have a Hydromassage bath. Enjoy it and relax. At the end of a long day, go down to the pool to lie on a sunbed and admire the starry Dominican sky. Eye-pleasing vegetable patio will immerse you in a nice relaxing atmosphere! The white sand beach with aquamarine water is just 3 min walking from the apartment. Pretty golf course. Enjoy the game at one of the most beautiful golf courses in Punta Cana! A large swimming pool and jacuzzi to enjoy the day. Book your perfect vacation with us! Come to play golf in one of the best and most renovated Golf Courses in the Caribbean, the Hard Rock Golf Course, designed by the Golden Bear of Golf, Jack Nicklaus, known for holding a record of 18 Major Championship victories! Do not miss out the chance to live an experience like no other, with pool, 2 jacuzzis, and exceptional white sand beaches nearby in Punta Cana! Book your vacation with a knowledgeable, experienced, and trusted host! Check our 1000+ reviews to make the right choice! 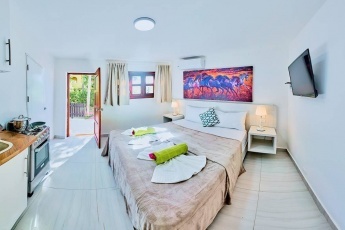 The Beach Rock boutique hotel offers 10 first-class fully equipped apartment units to enjoy intimacy and comfort during the stay in Punta Cana! It’s a 2-bedroom unit with a Hard Rock Hotel view, near to the white sand beach and luxury restaurants, cafes and a nightclub. Just near to the Famous Hard Rock Cafe and Hotel, you will have all the comfort and luxury for a fair price. Best hotel area, best pools and conditions for you! Beach Rock residence offers a 150 m2 apartment, where you will find 2 bedrooms, a spacious living room, dining room, kitchen, 2.5 bathrooms, three balconies, central AC and first-class service. You can find out more about us, just continue reading. Do not forget – being a Superhost, we guarantee you high-quality services! Have a relaxing time in the pool, strategically located to enjoy a good time, playing or going for a good swim. You can also enjoy our 2 in-pool jacuzzis, where you can let the bubbles steal your worries away! 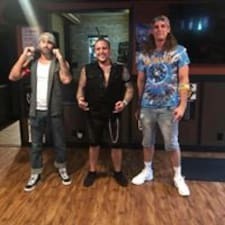 The excellent service and amenities at Beach Rock will amaze you, and along with our outdoor pool and impeccable decor, you will get more than just a tan. It´s impossible to gloss over the fact that there are the most beautiful beaches of Punta Cana right outside the apartment. Enjoy an exciting game, practice and master your skills – there is a great tennis court at your disposal. All our guests and residents have a great time at the Beach Club. If you’re looking for more options where to treat yourself to a delicious meal, let us inform you that Beach Rock Residence gives you access to a restaurant! You’ll find our Business Center on the 4th floor. It has a great view of the Hard Rock Hotel Punta Cana’s Lobby area. Here you’ll be able to meet all your urgent business needs. The services of our Business Center include printing, copying, computer rental, internet access, faxing and more. We set a goal to provide our guests with the opportunity to work in a cozy and relaxed atmosphere, in which you can do any business, hold a meeting and feel comfortable during your stay in our Condo Hotel in the Dominican Republic. Our Gym is located on the 4th floor and has a view of the Hard Rock Hotel Punta Cana’s Lobby area. It is equipped to meet your every need so you can stay healthy and fit on vacation, with machines for building up cardio, resistance and strength. Here in Beach Rock, you’ll have full access to our Gym so you won’t have to skip a single day of your exercise schedule even while having fun. You will always remember your stay here, with exceptional golf courses for the World Famous Champions, next to the famous beaches and Hard Rock entertainment! Let us know your approximate arrival time, or let us organize transportation for you. Upon your arrival, our hotel administrator will check you in. We will also provide you with personal information and personalized guidance. 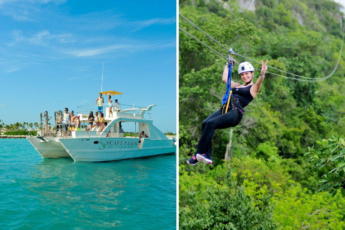 For an additional price, we offer our guests a wide variety of activities. 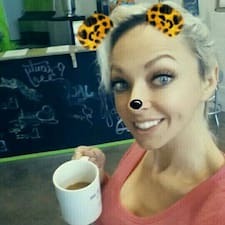 I have been hosting homes for a long time, and this became my life and my way. 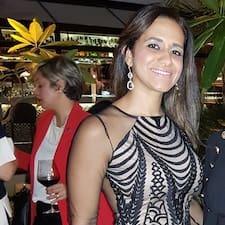 I love meeting new guests, help them to discover a new world, new places and offer much more than one can usually get – and this is the way I am working for you. Take advantage and send me a message – I am always glad to help you! !!! You will have a safe box in the apartment. Please ask at the reception about the key. Ask me for more details, and get a tailor-made guidance for your vacation! Благодарю команду Василия, за отличную организацию отдыха в Доминикане. Номер предоставлен в отличном состоянии. Очень красивый вид!! Есть все для комфортного пребывания и досуга. Еще раз спасибо!! I just want to say thank you to Vasiliy and his team for organizing such an amazing vacation. Everything was SUPER! 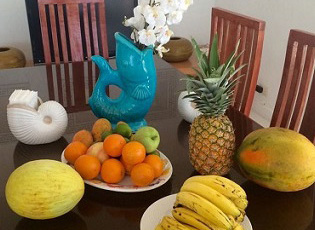 It was not my first stay in Punta Cana and although each time it was different, there are some things that remain steady: clean and well-kept apartments, high quality service and quick responses. If you are looking for something really cool and worthy, don't hesitate to work with this team. RECOMMEND! If you looking for a good vacation rentals this place for you. Close to the beach minutes from restaurants friendly service. All of this give to you unforgettable time for all your life !!! 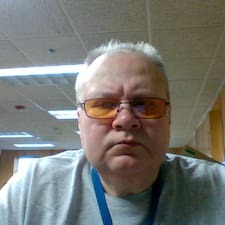 Everything was perfect, Vasily was always available for every request i had. The property was great. Thank you for the amazing stay. I had so cool stay! Thank you, guys! Your customer service is amazing. Everything was great from the start. The place has a lot of space clean and tidy. Honestly, I was worried that the picture would not be a reality. Things are much better than I saw in pictures. White sands and blue water... This place is like a paradise! Totally recommend Vasiliy and his team to our friends! The property is in perfect condition. This two-bedroom apartment was excellent and rather spacious for us. The kitchen has all the facilities and we cooked breakfast every morning. The environment is so quiet and very nice, however the beach is within walking distance. Perfect location! We had a great holiday there. Thanks a lot to our friendly host, the service he provided was first class. As well as the communication with us before our arrival was great. Is this beach property Dominicana really nearby to the beach? Yes, this beach property Bavaro is located in front line of the Bavaro beach. Is this beach condo Bavaro good for Punta Cana family vacation? For sure, this Punta Cana apartment for rent has ideal location for your Dominican Republic beach vacation. 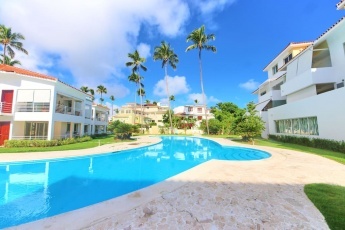 This 2 bedroom apartment Punta Cana is spacious enough for a big family stay. Is Bavaro beach worthy for my Punta Cana vacation? Absolutely, book this beach property Bavaro with Everything Punta Cana and get impressed by the most popular and picturesque Punta Cana beach with white soft sands and azure ocean. Why should I choose Everything Punta Cana to rent beach property Dominicana? Everything Punta Cana offers the best apartments and provides personalized service in Punta Cana. Book an apartment nearby to the beach with a direct booking Punta Cana on our website without any commission fee. Can I choose this beach condo Bavaro for an event? Yes, you can. This luxurious beach condo Punta Cana has a spacious living area, 2 bedrooms, huge terraces and chaise lounges, BBQ at your disposal. Where to go during my stay in the beach property Bavaro? Discover Dominican cuisine in one of the 7 restaurants within walking distance from your beach property Dominicana, visit fitness and golf centres or spa near the Bavaro beach. 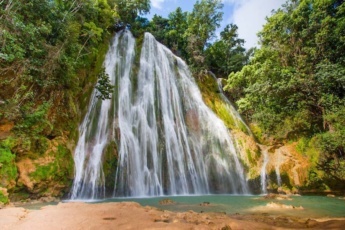 How can I book extra activities for my Dominican Republic beach vacation? Everything Punta Cana offers a wide range of tours and the best excursions Punta Cana for every taste to bring new vivid impressions. Please, check out the list of Punta Cana excursions on this web site and book it online. Who will help me to deal with problems during my stay in this beach property Bavaro? Everything Punta Cana provides personalized service in Punta Cana. You will have your personal concierge eager to help you and make your Dominican Republic beach vacation the most pleasant experience ever. Is the Bavaro beach apartment a family resort in Punta Cana? 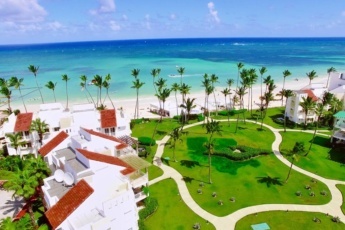 Yes, our beach property Bavaro is Punta Cana family resort. We are glad to see couples, families or group of friends. 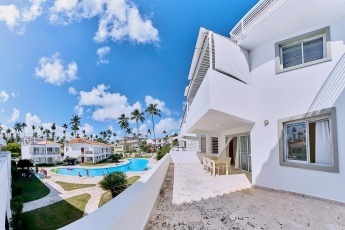 Book your vacation now at this gorgeous apartment nearby to the beach in Punta Cana. Is this beach condo Bavaro available for a long-term rental? 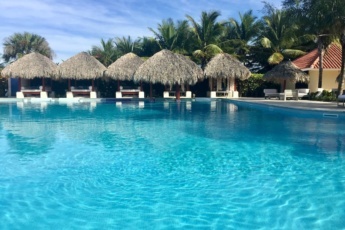 Our beach properties Dominicana are available for any period. Check the availability of the chosen apartment for your date online. Do I need to rent a car if I stay at this beach condo Punta Cana? Actually, you don’t need a car, because this apartment nearby to the beach in Punta Cana has the most centric location of the Bavaro beach, you’ll have everything you need at walking distance. However, if you are planning to travel across the Dominican Republic and discover all the beaches, Everything Punta Cana can offer you a car rent service. How can I get to the apartment near to the Bavaro beach from the Punta Cana airport? Everything Punta Cana can organize Punta Cana airport transportation for you. We will pick you up from the airport and drive you to your amazing Punta Cana beach property in a comfortable car. No stress with local taxis. Does this beach property Dominicana have Wifi? Yes, our beach condo Bavaro has Wifi. Enjoy your Dominican Republic beach vacation and stay tuned on your social media. How many people this beach condo bavaro can accommodate? This luxurious apartment nearby to the beach is ideal for a group of up to ten people. 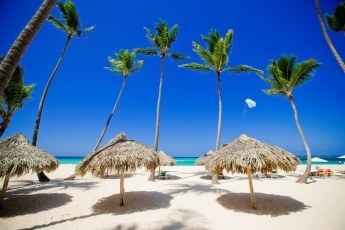 Are your beach properties Dominicana comfortable to stay in? 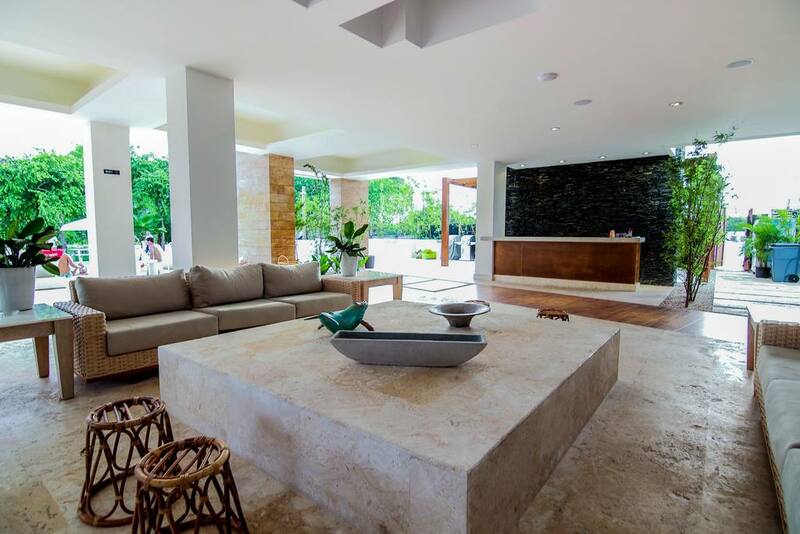 We offer only comfortable full-furnished Punta Cana apartments for rent with modern design. A high standard of cleaning and hygiene services are important to us. Everything Punta Cana has high quality professional team that takes care of our customers’ comfort during their Dominican Republic beach vacation.